Aside from offering plenty of things to do and great places to visit, Dubai also holds exciting events all year round. In fact, the 2019 Events Calendar looks even busier than last year’s list. Cool! 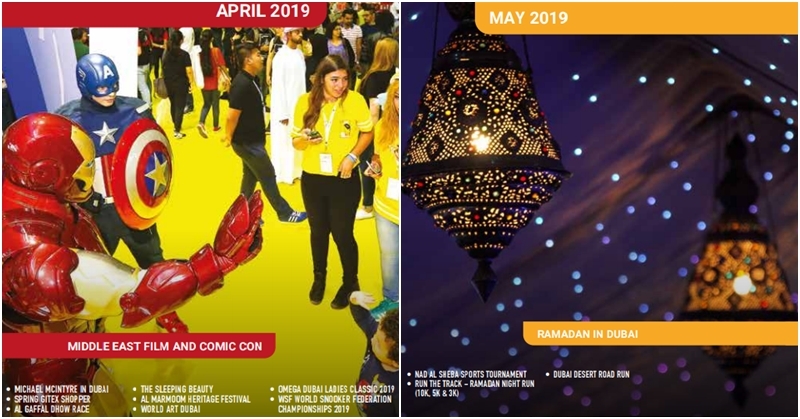 This year’s line of events is presented by the Dubai Festivals and Retail Establishment (DFRE), in partnership with the Department of Economic Development (DED). 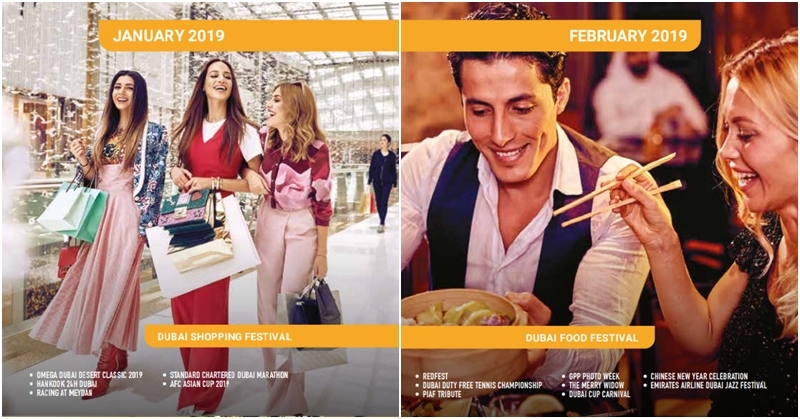 Time to mark your calendars and see what 2019 has in store for shoppers, foodies, health buffs, and everyone else! Last year’s Retail Calendar featured 12 events, spread over 178 days. Meanwhile, this year’s calendar includes 18 events, spread over 247 days! This means more shopping, leisure, and entertainment activities for all of us. Isn’t that awesome?! The Dubai Shopping Festival is one of the biggest retail events in the city, attracting visitors from all over the world. It is currently ongoing from December 26, 2018 to February 2, 2019. Due to the increasing number of Russian visitors and residents in the emirate, it was decided that a Russian Holiday would be held from January 4 to 12. From February 3 to 13, Chinese New Year celebrations and related activities will be held across Dubai, specifically targeting Chinese visitors in the city. Every year, the Dubai Food Festival presents gastronomic delights, showcasing cuisines from around the world. Foodies shouldn’t miss this exciting event, which will be held from February 21 to March 9. As the term suggests, these events feature the latest in fashion trends, with the Spring/Summer Collection to be held from February 18 to March 16, and the Fall/Winter Collection from September 8 to 24. If you are planning to update your home furnishings, the best time to do so would be from April 18 to May 1, when the Home Festival takes place. Ramadan and Eid Al Fitr are two of the most important events not only in Dubai, but across the Muslim world. From May 5 to June 8, you can look forward to special sales and promotions, even as you get invited to attend Iftar and other events. Likewise, get ready for more events during Eid Al Adha, which is expected to take place from August 12 to 15. 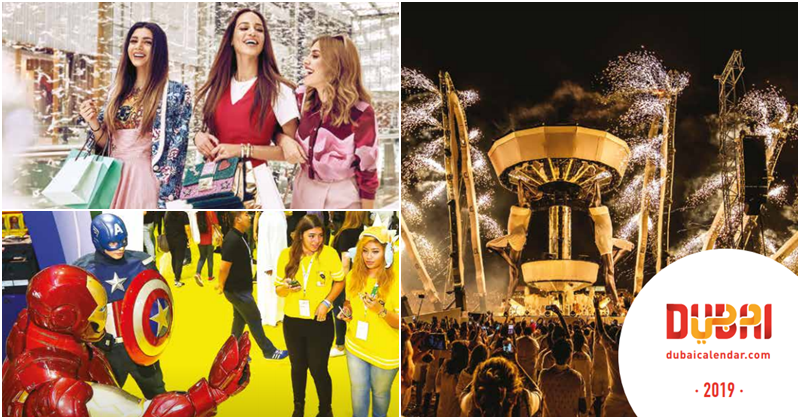 The Dubai Summer Surprises is a yearly event that every shopper looks forward to! From June 21 to August 3, you can expect to grab premium brands at awesome prices! This year’s back to school promotions, to be held from August 16 to September 7, promises great deals for students as they prepare for a new school year. With the huge Indian community in Dubai, it’s not surprising that Diwali, the Festival of Lights, is celebrated here. From October 18 to November 2, everyone can expect to see shopping promotions and colourful festivities. The Dubai Fitness Challenge seems to be getting bigger and more exciting each year. 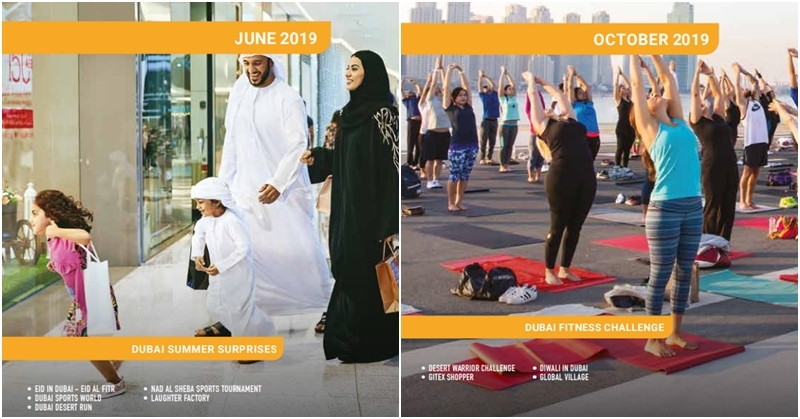 From October 18 to November 16, this city-wide event will hold health and fitness activities, spread across Dubai and open to everyone! As the holiday season approaches, the Gifting Weekend from December 12 to 14 would be a great time to buy gifts for family, friends, and loved ones. These are just some of the events that we can all look forward to this year. For more information about these events, please check out the 2019 Retail Calendar. What’s more, here is a list of malls in Dubai, for your reference!